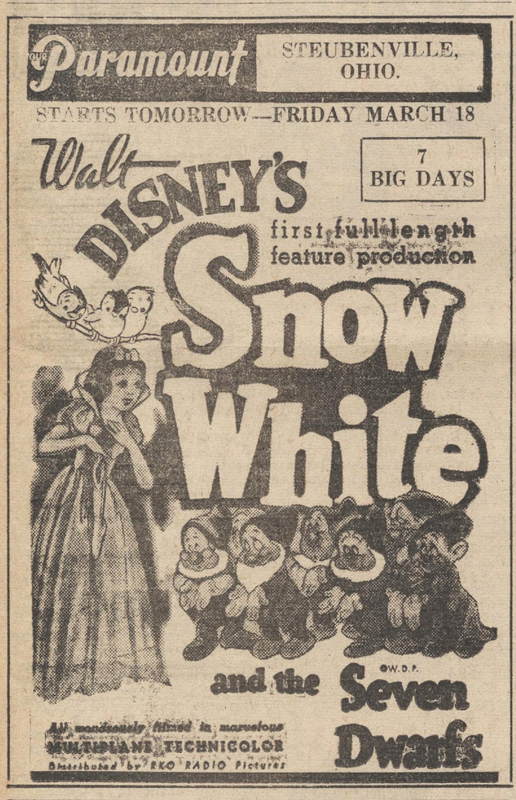 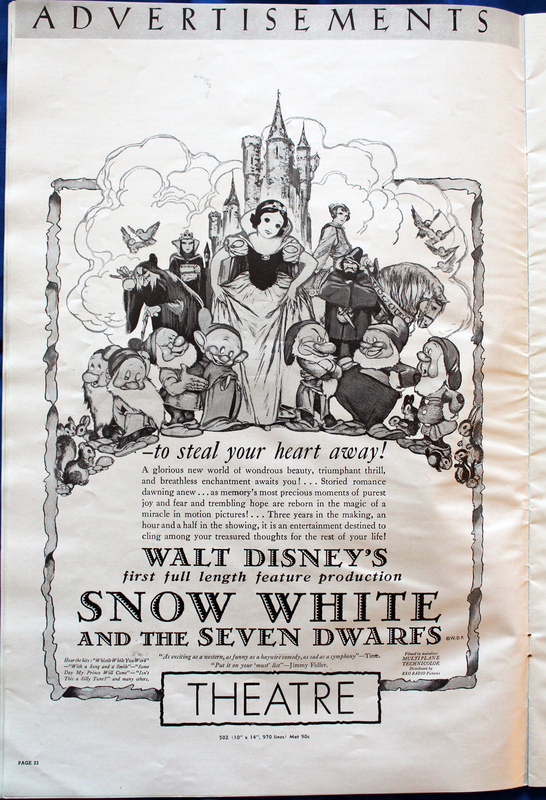 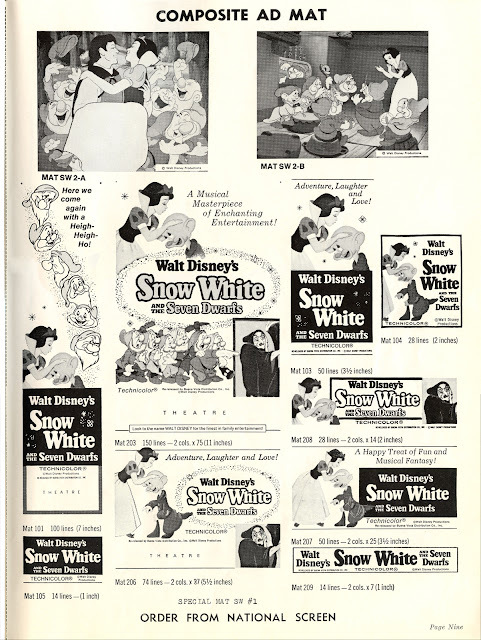 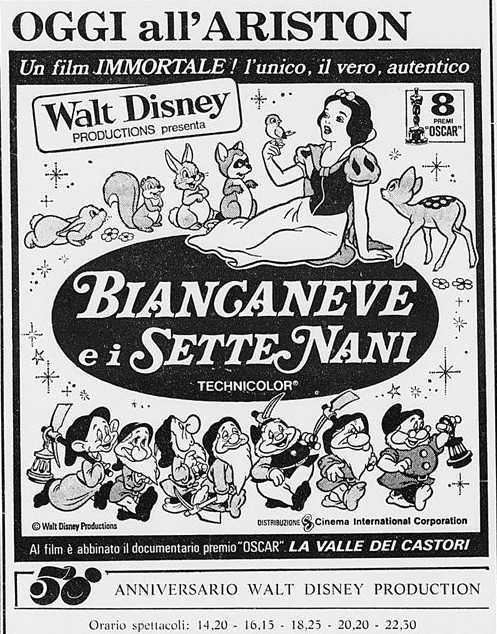 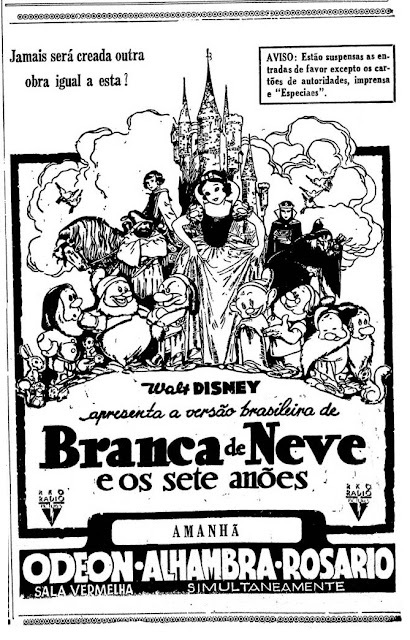 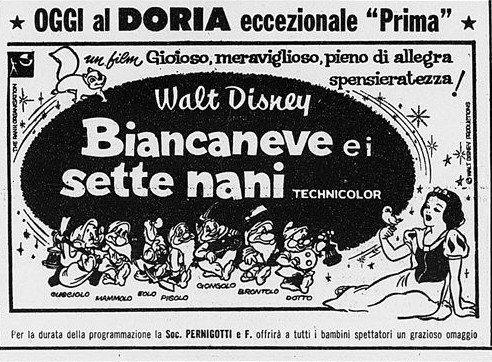 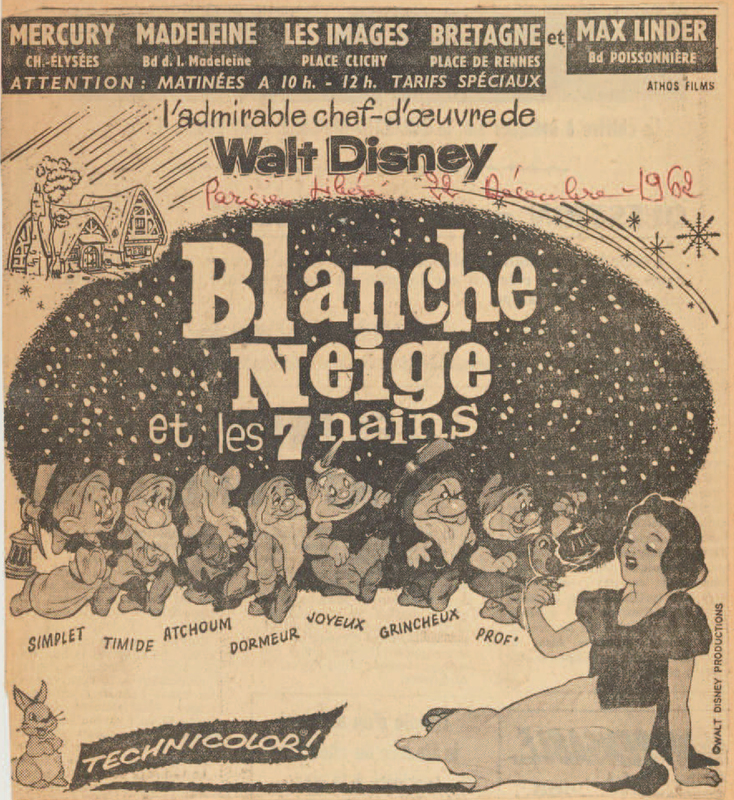 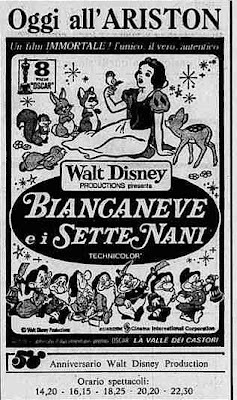 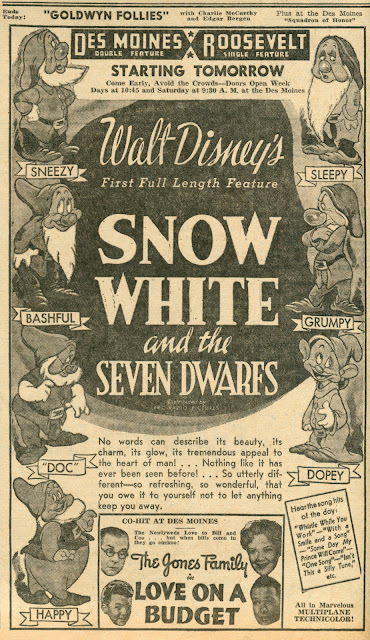 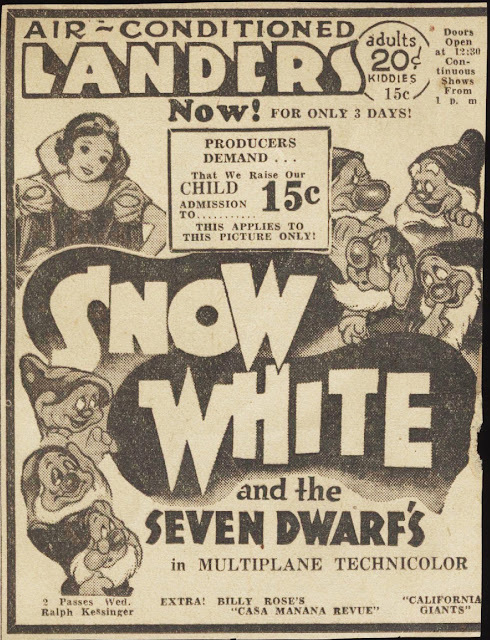 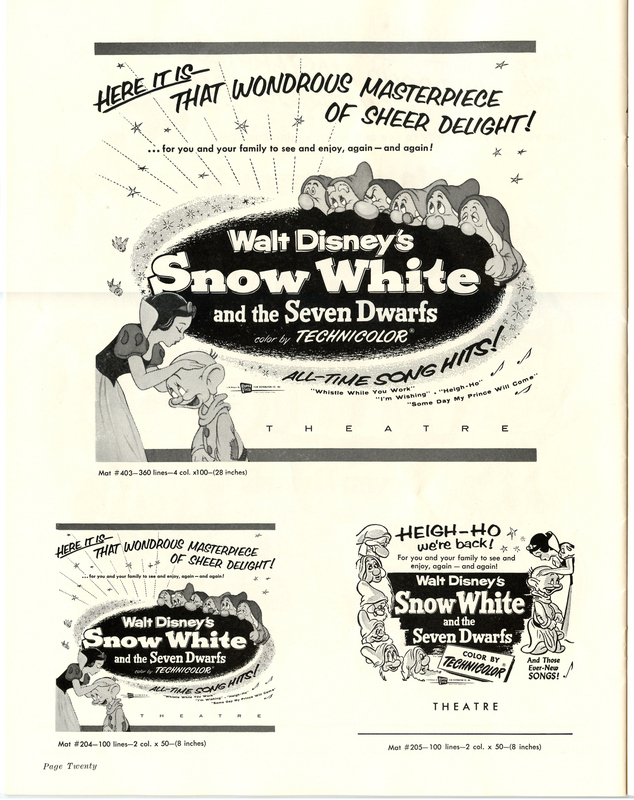 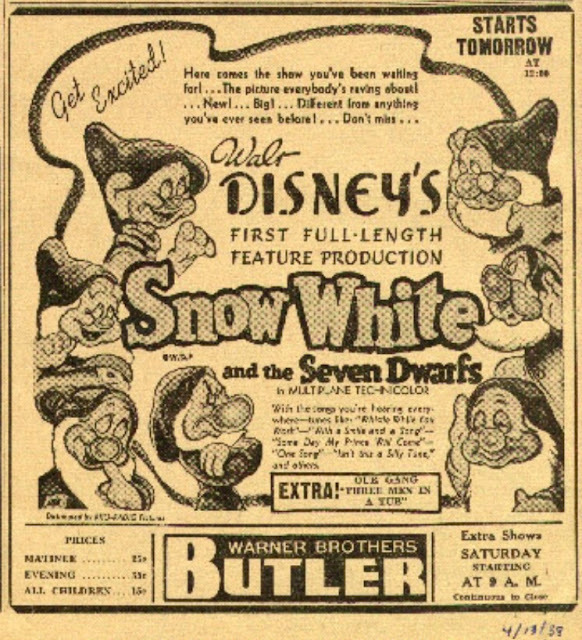 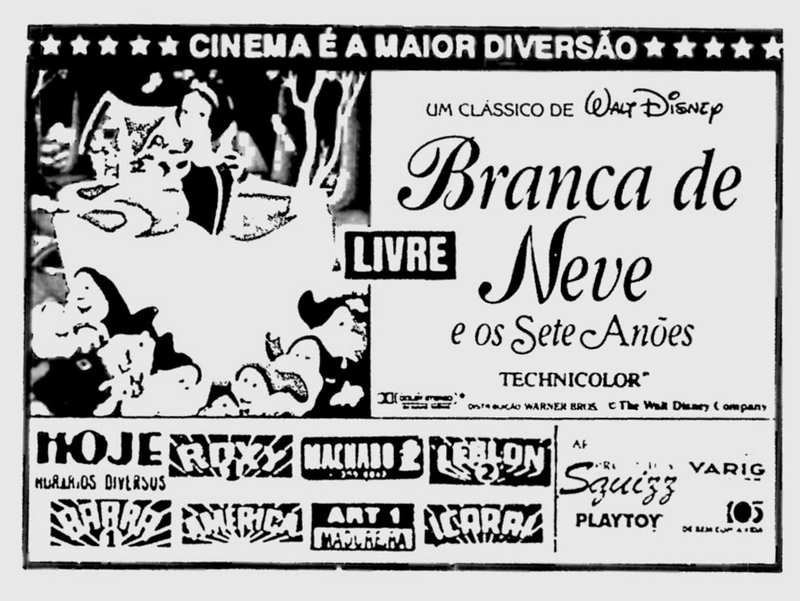 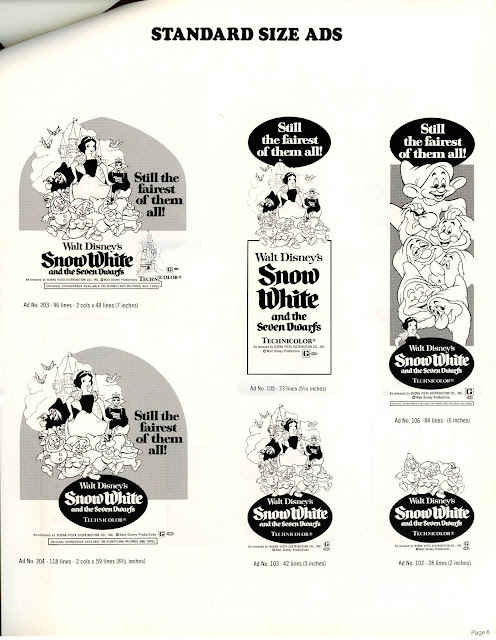 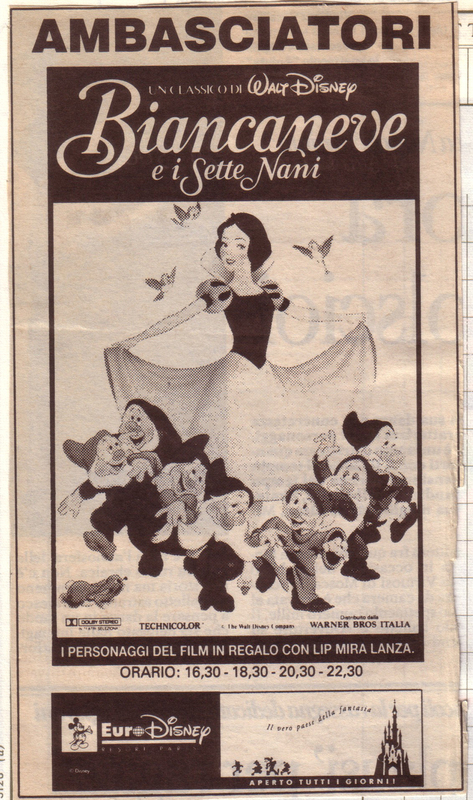 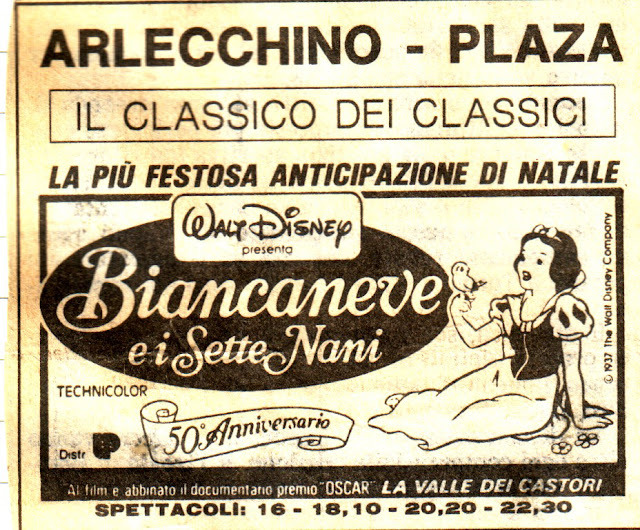 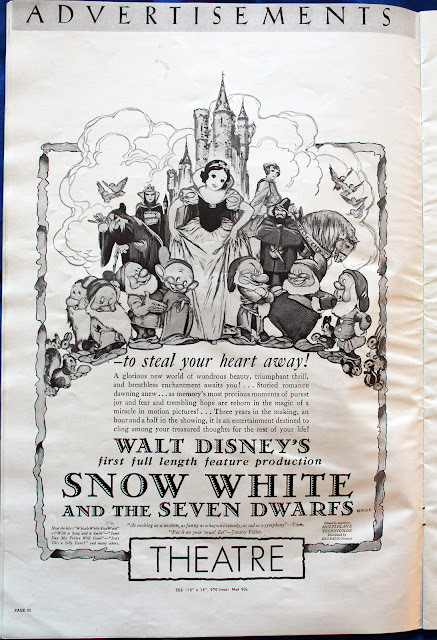 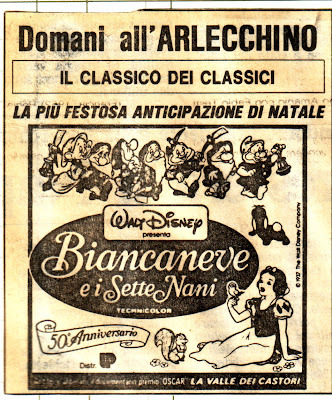 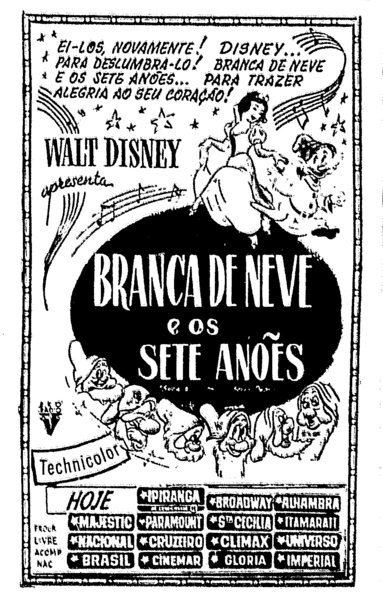 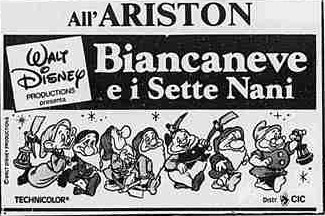 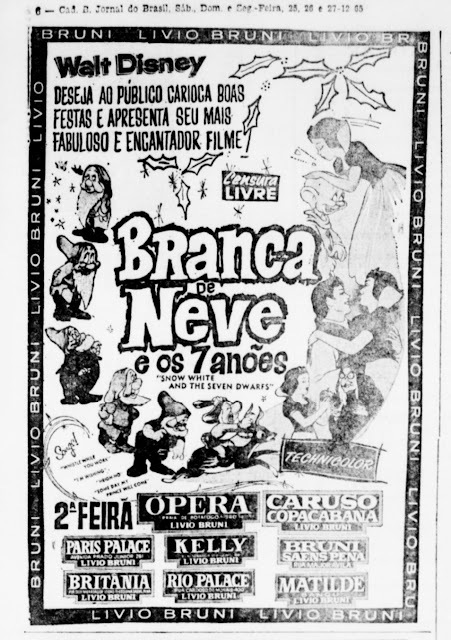 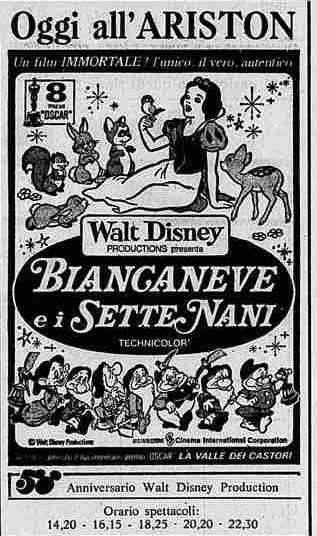 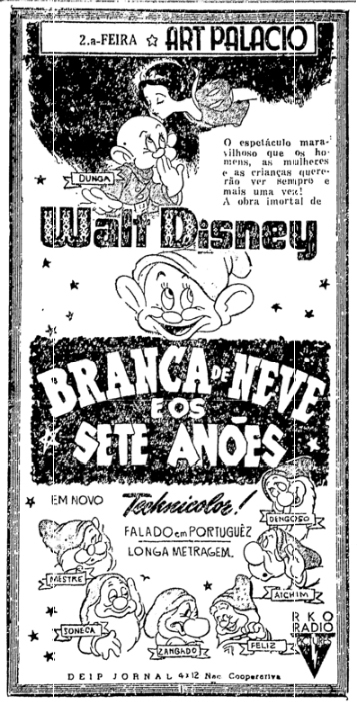 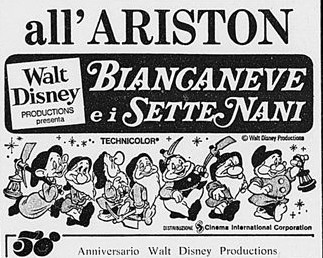 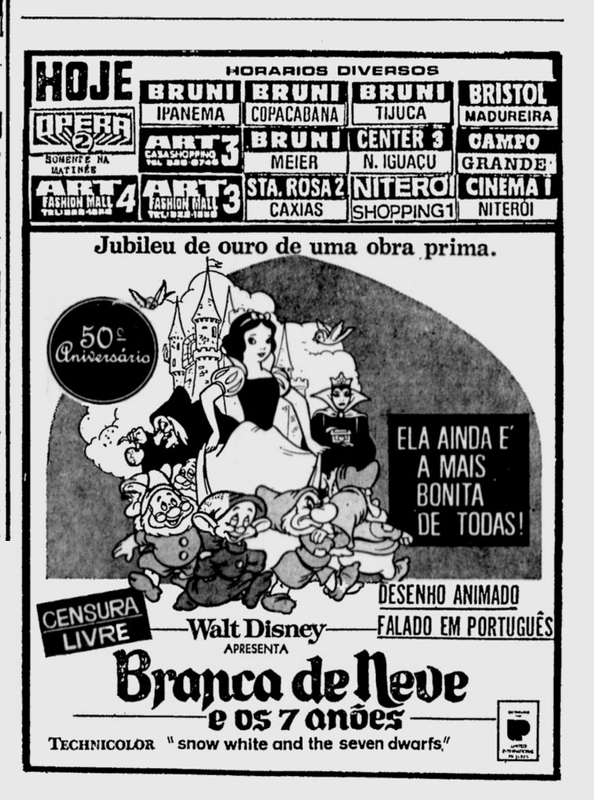 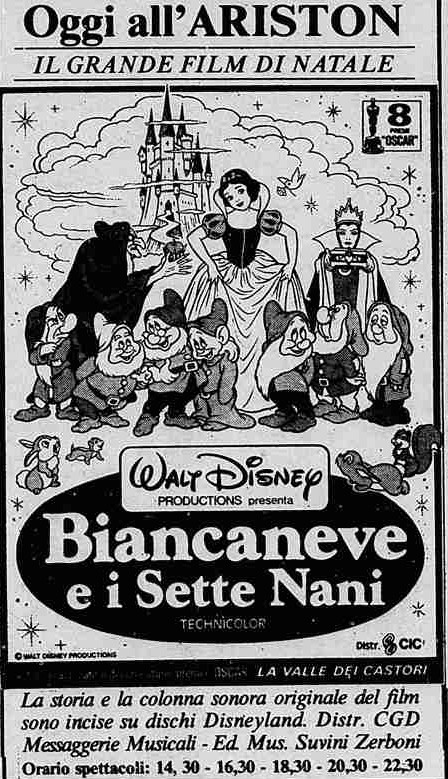 A sampling of Snow White clippings from newspapers and magazines. 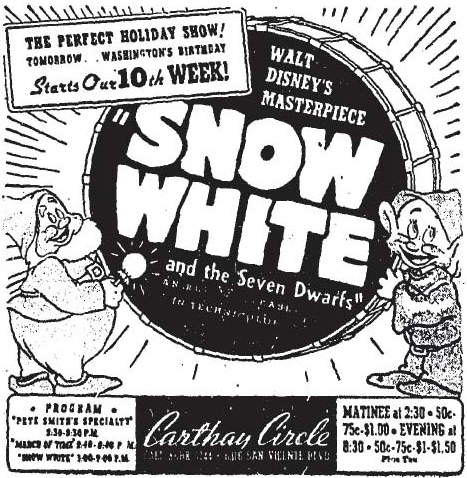 Image courtesy of Van Eaton Gallery via Cartoon Brew. 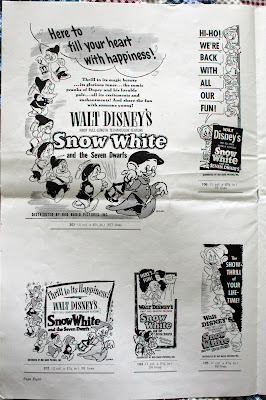 Image courtesy of Larry Harnisch via The Daily Mirror. 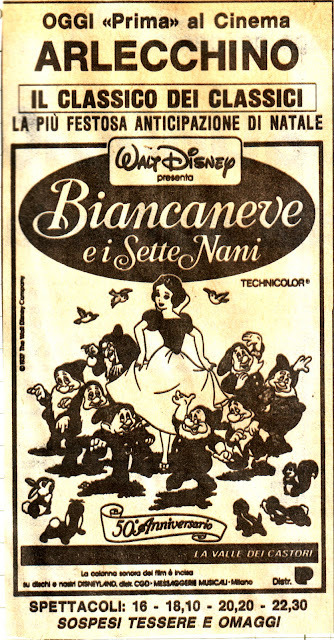 Image courtesy of the Michael Filippello Collection. Images courtesy of Rick Payne via dadric's attic. 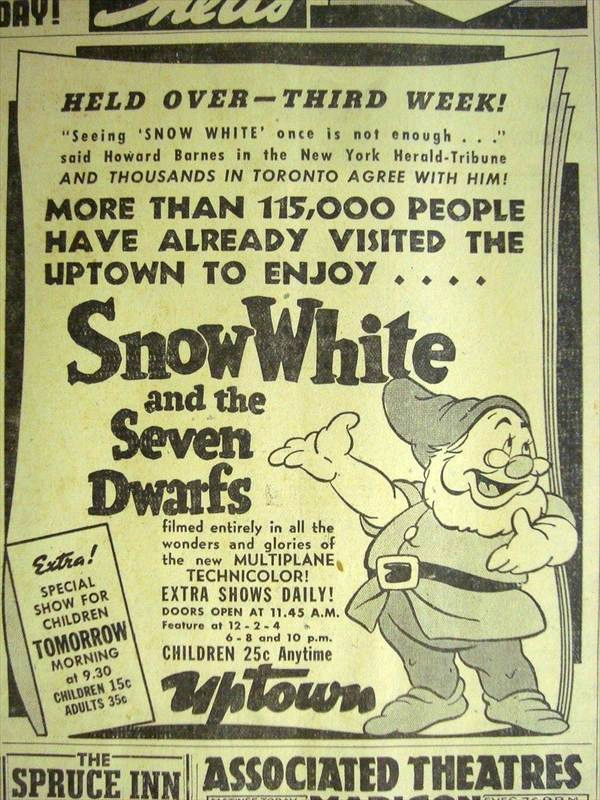 Image courtesy of Rick Payne via dadric's attic. Image courtesy of Ron Toth, Jr. via Time Passages Nostagia Company. 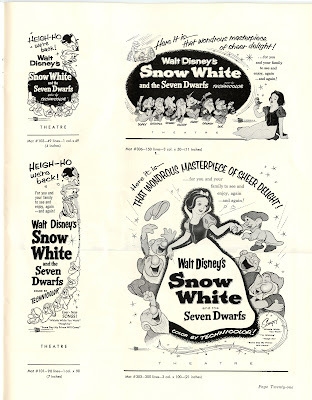 With the songs you're hearing everywhere--tunes like: "Whistle While You Work"--"With A Smile And A Song"--"Some Day My Prince Will Come"--"One Song"--"Isn't This A Silly Tune" and others. 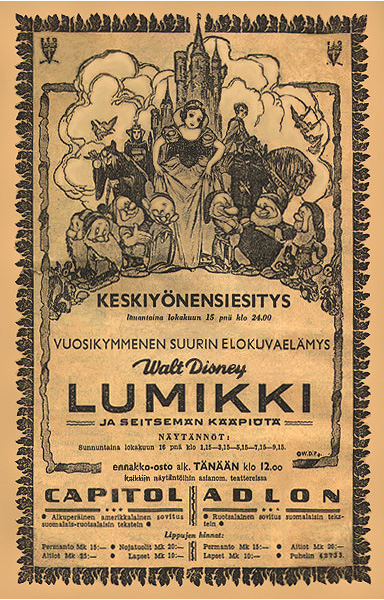 KESKIYÖNESITYS translates to "Midnight First Performance"
Image courtesy of KenNetti Snow White Database. 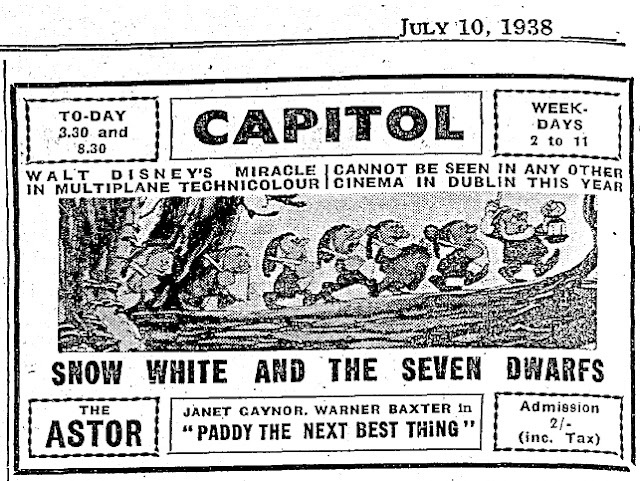 Image courtesy of Stephen Doherty. 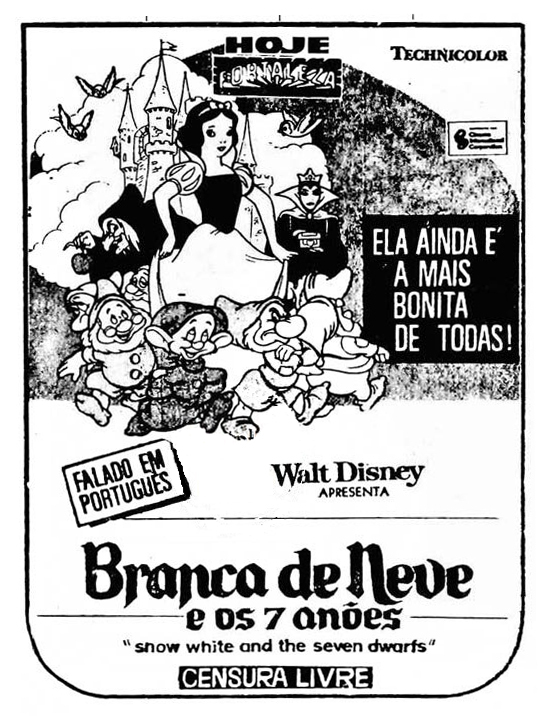 Image courtesy of Leo Forli of Casa da Dublagem. 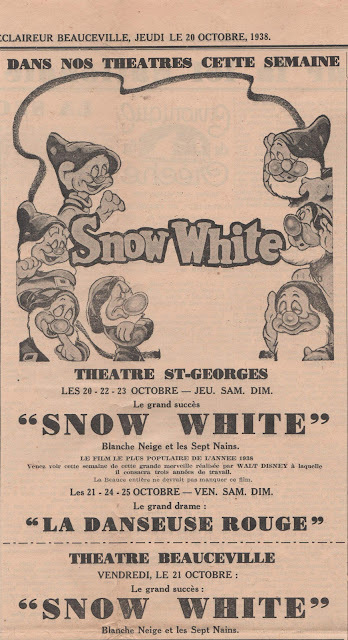 Image courtesy of Greg Philip of A Lost Film. 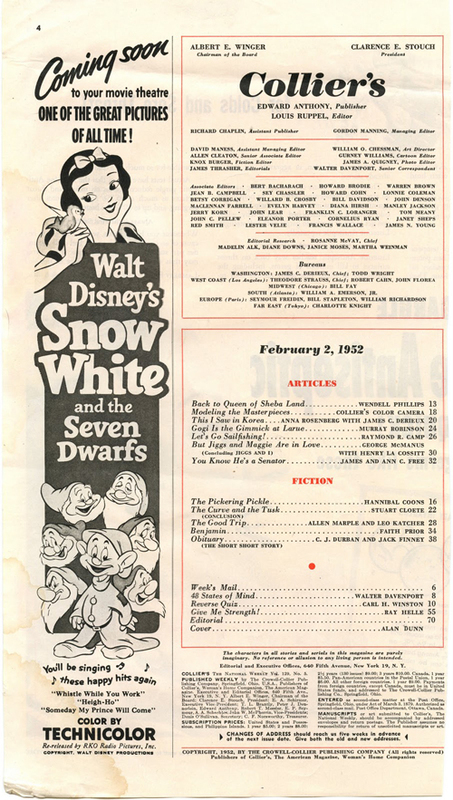 Magazine source is thought to be Photoplay. 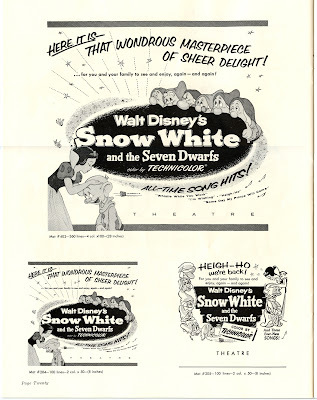 Re-released by RKO Radio Pictures, Inc. 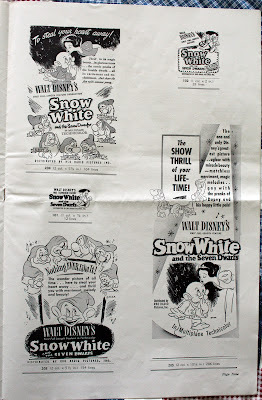 Image courtesy of Joy to the Blog. 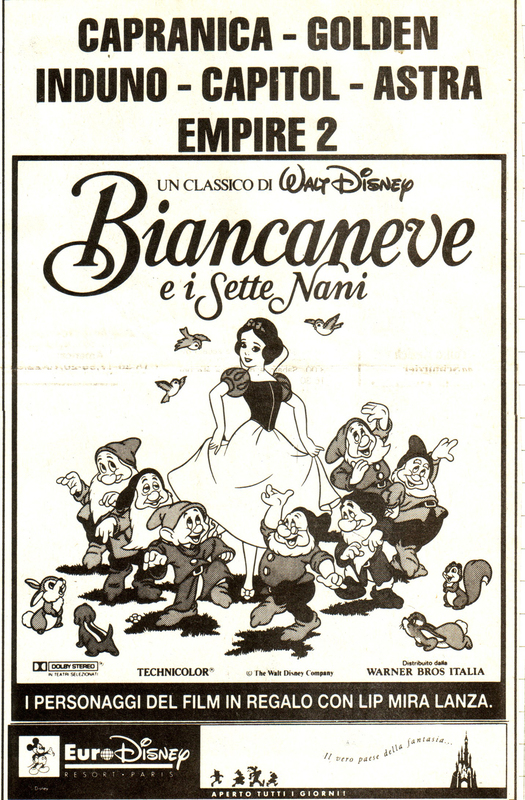 Images courtesy of the Nunziante Valoroso Collection. See the additional Ad Pad images that accompanied the '67 North American pressbook. See the additional Ad Pad images that accompanied the '75 North American pressbook. 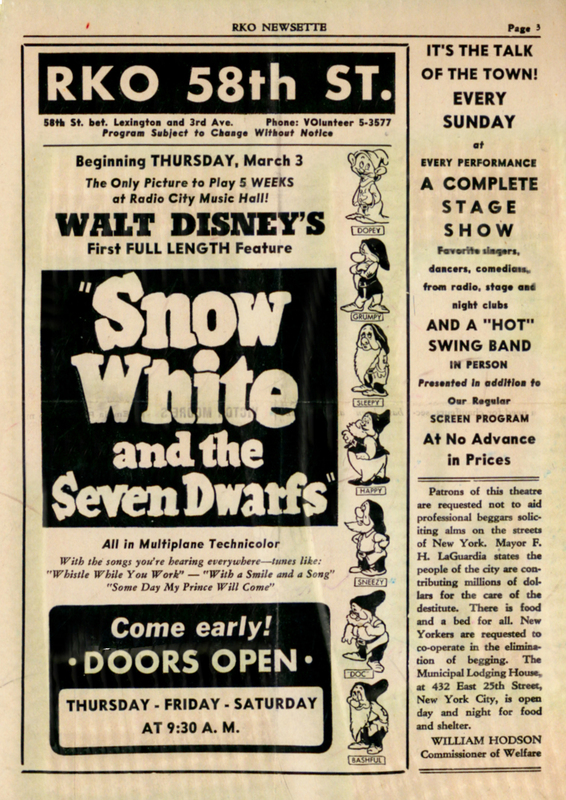 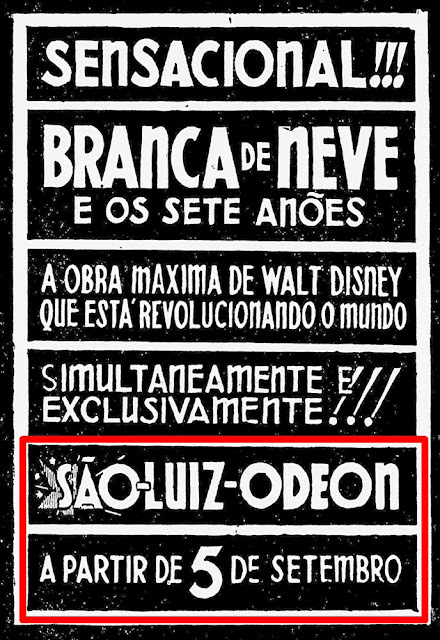 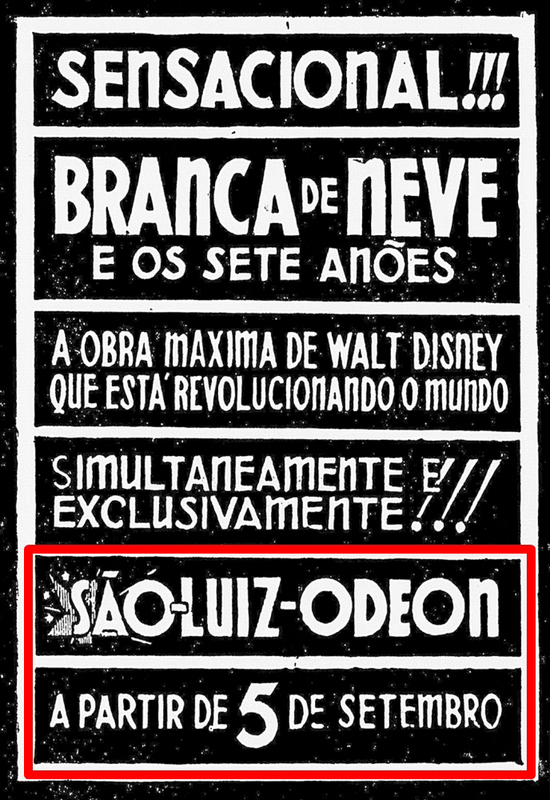 Free admission in celebration of the 50th anniversary of the film. Image courtesy of the Nunziante Valoroso Collection.